The Campaign for a United Nations Parliamentary Assembly (UNPA) is a global network of parliamentarians, non-governmental organizations, scholars, and dedicated citizens that advocates for democratic representation of the world’s citizens at the United Nations. 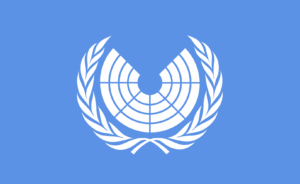 A United Nations Parliamentary Assembly, UNPA, for the first time would give elected citizen representatives, not only states, a direct and influential role in global policy. In the twenty first century the world is facing many major challenges that it has never faced before – from climate change and environmental devastation to extreme poverty and growing inequality, from food and energy shortages to the proliferation of weapons of mass destruction. Many of these problems can only be solved effectively globally. So it is important to have sound decision-making processes in place at the global level. The importance of global institutions is growing. However, the existing institutions of global governance lack a strong democratic oversight. Decisions at the UN are made by heads of state only, with no parliamentary representation of the world’s citizens. And other global institutions such as the World Bank or the World Trade Organisation are even less democratic in their decision-making. This lack of democracy in global institutions leads to decisions being taken that are often not in the best interests of humanity. That is why we are calling for a Parliamentary Assembly at the UN. The campaign proposes that, as a first step, a UNPA should be established largely as a consultative body. This could be done easily by a vote in the UN General Assembly or a new international treaty. Then, step by step, the UNPA should be vested with rights of participation, information and oversight, with regard to the UN and the other major global institutions such as the World Bank, IMF and WTO. The eventual goal is to develop the assembly into a democratic world parliament. The campaign works to mobilize government support for the establishment of a UNPA. While the campaign approaches governments, it also seeks to establish support from parliaments, civil society, academics and NGOs. It also works towards achieving popular awareness of the need for a UNPA as a response to the democratic deficit in global governance. As of today more than 1550 current and former Parliament Members from more than 120 countries, across principal party lines have endorsed the campaign. The sitting MPs represent an estimated 119 million people. Supporters also include current and former heads of state, foreign ministers, Nobel laureates, and over 400 professors, including from world-leading universities. The Pan-African Parliament, the European Parliament, and the Latin-American Parliament have all adopted resolutions in support of a UNPA, as have the Socialist International, the Liberal International, and the Green World Congress. The campaign is coordinated by a secretariat that is hosted by the Committee for a Democratic UN, based in Berlin. The secretariat works closely with the campaign’s steering committee, the co-chairs of the campaign’s advisory group, and partner organizations such as the World Federalist Movement. 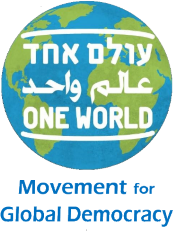 One World is a signatory and a strong supporter of the campaign. The Global Week of Action (GWA) for a World Parliament is an initiative promoted by the Campaign for a UNPA. Since 2013 it has organised an annual Global Week of Action for a World Parliament, taking place in October, around United Nations Day on October 24th. During this week independent events worldwide are held to promote the establishment of a democratically elected world parliament. The Global Week of Action is coordinated by a Steering Group whose members include the World Federalist Movement, Citizens for Global Solutions and the Campaign for a UNPA. One World is proud to be a member of the Steering Group.